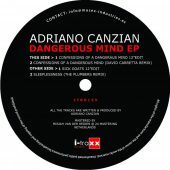 Adriano Canzian has by now developed a trademark sound unlike any other, a genre-twisting hybrid of EBM, techno, industrial and acid beats that has acquired nuance and influences throughout the years, aiming at that uniqueness he’s always been reaching for. 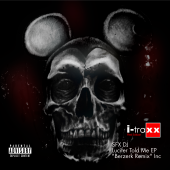 «Confessions Of A Dangerous Mind» is a breathless, unrelenting march of a record, a whirlwind of classic industrial sounds driven by a hammering pulse and a shimmer of melting matter. David Carretta’s remix smoothens out some edges into a mix of techno and new beats, then Canzian charges on again with «Sick Goates», skillfully adding noise frequencies to a goth background, before letting Spain’s The Plumbers close with their rendition of «Sleeplessness», marked by a dub-sprinkled techno no less belligerent than most of Canzian’s catalogue.